Junior Farmer Experiences - 90 minute experiences for children aged 5+ and accompanying adults. Do you want to try out life on the farm? We are holding 90 minute farm experiences for the budding farmer in your life. 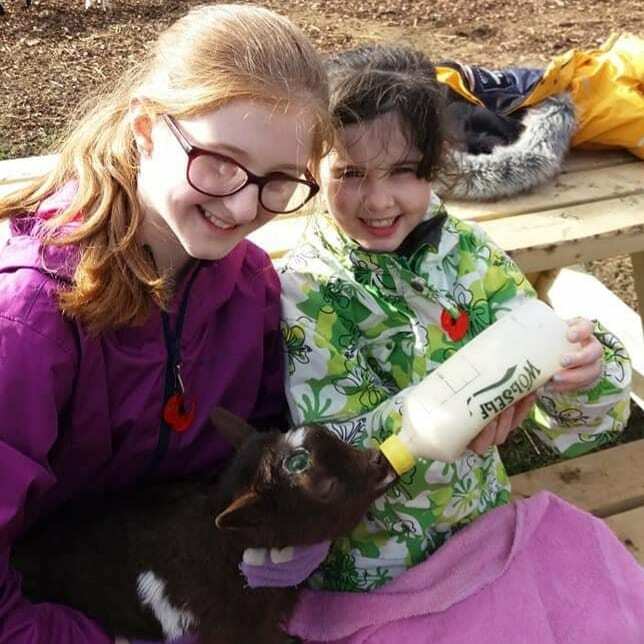 You will have the opportunity to help feed the chickens, alpacas and pygmy goats. 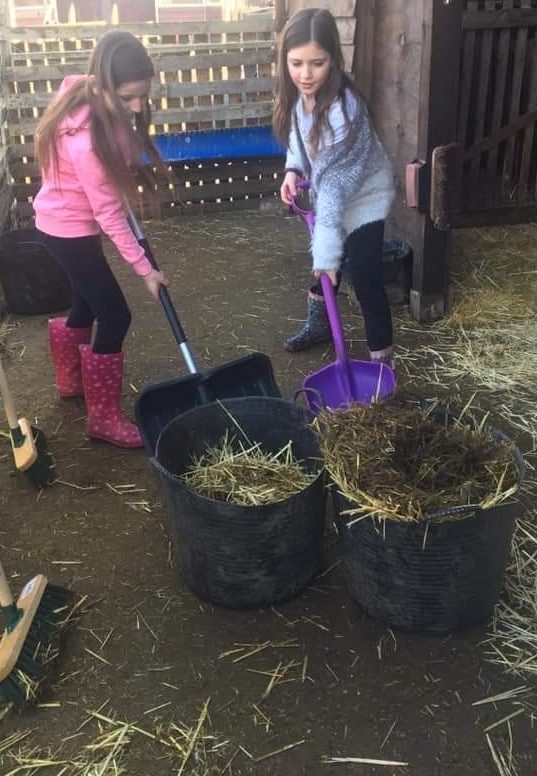 Some time will be spent "mucking out" or cleaning one of the animal enclosures. Owners/ farmers Claire & Glenn will be showing everyone how we trim the pygmy goats toenails! Also, on the agenda will be time spent grooming and health checking the pygmy goats and their babies (officially known as kids!) 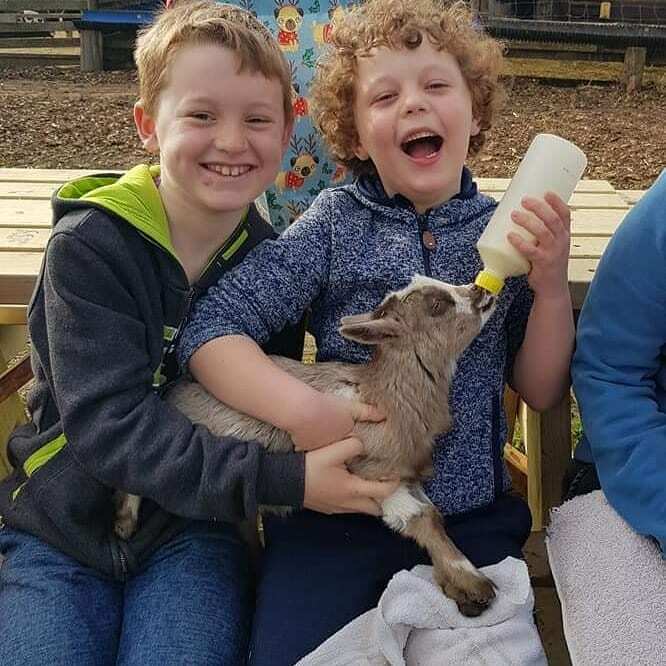 Plus, everyone on the experience will have time for photographs with our very friendly animals and cuddles with our playful pygmy goats. Suitable for budding farmers aged 5 years and above. All children must be accompanied by an adult who is also participating in the farm experience. Maximum of 3 children per adult. We are not an "Open Farm", we are a "Working Farm" and therefore all experiences must be pre-booked. We do not allow non-paying spectators on farm. Due to the fact that we are a working farm with uneven tracks an paddocks, this experience is not suitable for pushchairs, wheelchairs or buggies. For Health & Safety reasons, we cannot have any ladies attend who are at any stage of pregnancy (due to our pygmy goats kidding). All people booking the experience, will be sent a copy of our Risk Assessment. All experiences will commence with a brief, mandatory Health & Safety talk. Toilet and Hand Washing facilities available on site. For Health & Safety reasons, we do not allow food or drink to be consumed whilst taking part in this experience.